But says sympathy lies with Sony. Brink developer Splash Damage has admitted frustration that PlayStation 3 users won't be able to access the online portion of its multiplayer FPS following its launch today. Speaking to GameSpot, founder Paul Wedgewood anticipated that the ongoing PSN outage could cost the developer a few sales. "Of course for us it is frustrating to feel that half of our potential userbase won't be able to play online together immediately. I guess it could have some impact on sales, but really what we're saying to people at the moment is, you could be one of the first level 20 characters when PSN comes back online." Despite the negative effect Sony's woes might have on his business, Wedgewood was quick to offer his sympathies to the beleaguered platform holder. "I know that a lot of people are venting their frustration at Sony and are quite angry about the situation, but you have to think that there are a lot of people there who have just had a horrific few weeks, because of a bunch of hackers," he explained. "These are individuals at Sony that are going through really really stressful periods, and it's very hard to protect your network against every possible threat. "There's always going to be something new and unexpected, and I'm an ex-server network analyst, so I suppose I'm probably more empathetic than your average person." He also offered a unique spin on why PS3 users are so upset by the network downtime. "It's because Sony have been providing such a great service, so you care about the fact that it's gone now. So in some ways, it is actually really a compliment to Sony." 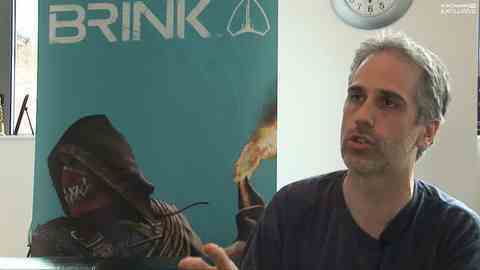 Splash Damage creative director Richard Ham stopped by Eurogamer HQ earlier this week to explain why PS3 owners who do pick up Brink should still have plenty of fun without online functionality. Take a look at the clip below for that. Alas, still no word on when PSN will be back up and running, however reports earlier today that the developer network is now online suggests an imminent return.